A true leader understands and values communication in the workplace. Without a stream of communication from the leader to their team, the business will not succeed. Inside of this communication is feedback. Leaders understand the importance of giving feedback but often shy away from receiving it. People in leadership positions should be seeking feedback at every turn. What is the value of receiving feedback as a leader? Employee feedback that fosters open dialogue and communication enhances a leader’s credibility. This is especially true for new leaders. As they grow into their role, it is crucial that they hear from their employees in order to understand the ins and outs of the job and common challenges. If a leader is not in touch with his or her employees, they will never truly understand them. The more a boss asks for feedback from employees, the more credibility is earned. For example, if an employee wants feedback on a project and their supervisor provides clear and helpful feedback, the employee will begin to gain trust with their boss. They will begin to see exactly why they are in a leadership position and lend them more credibility. When there is conflict in the workplace, its effects ripple throughout the office in the form of decreased morale and productivity and an overall sense of toxicity. When leaders are receiving feedback from their employees, they are already aware of potential office conflicts. For example, if the same employee keeps coming to their boss to complain about another employee, you can assume there will be conflict in the future. Not that the supervisor is aware of potential conflicts, they are able to stifle it ahead of time and provide effective conflict management. 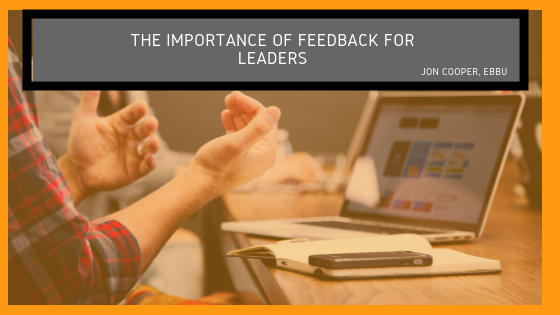 Possibly the most important reason that leaders should seek feedback is its ability to shine a light on blind spots that they are probably completely unaware they have. For example, maybe a boss is constantly running meetings over time. Unless someone tells them, they may have no idea they are doing this. When employees understand that they can provide honest feedback to their leaders, the leader will be made aware of their own blind spots, and hopefully, make the necessary adjustments. Feedback is an essential aspect of improving and honing your craft in the workplace. Without feedback, employees and leaders alike would not know where they were excelling or falling behind. When leaders open themselves up to feedback, they gain credibility from their employees, they lessen the chance of office conflict and they gain insight into blind spots.